Summer Camp pictures are now here! Just a little group shot to show you we haven’t killed any of them yet! PS I bet our view is better than yours!! Heave ho! 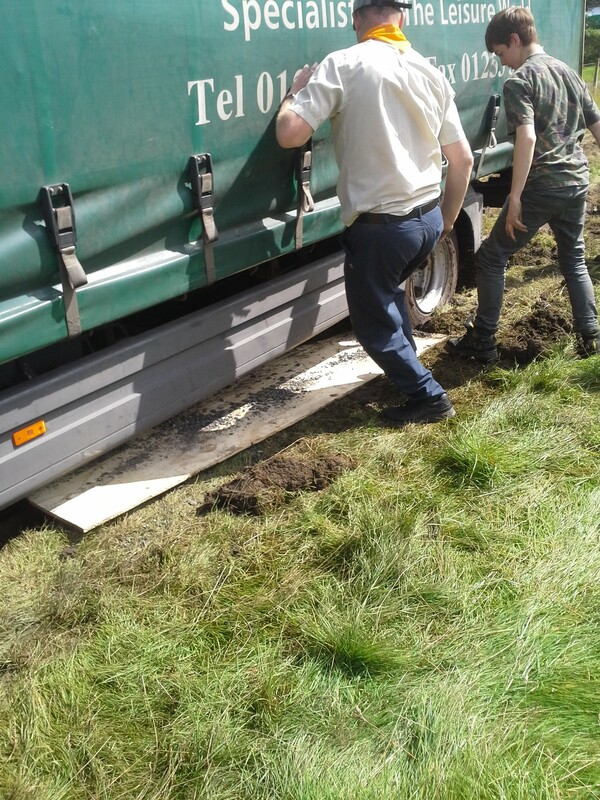 Unloading the trailer…It was really sunny today so we made the most of it. Playing a quick couple of games after a hard days work setting up for tomorrow. Curry, rice and poppadoms for tea. 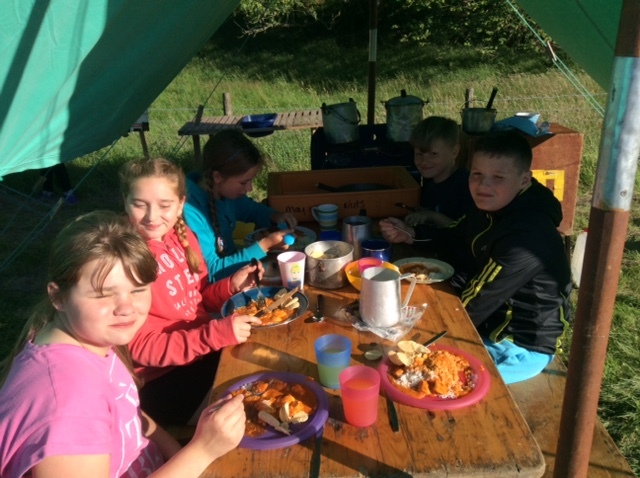 For those parents who haven’t experienced a camp with us before, at 1st Kirkham the scouts cook from scratch all the food we eat over the week, and then wash it up after! Its a lovely week for the leaders. 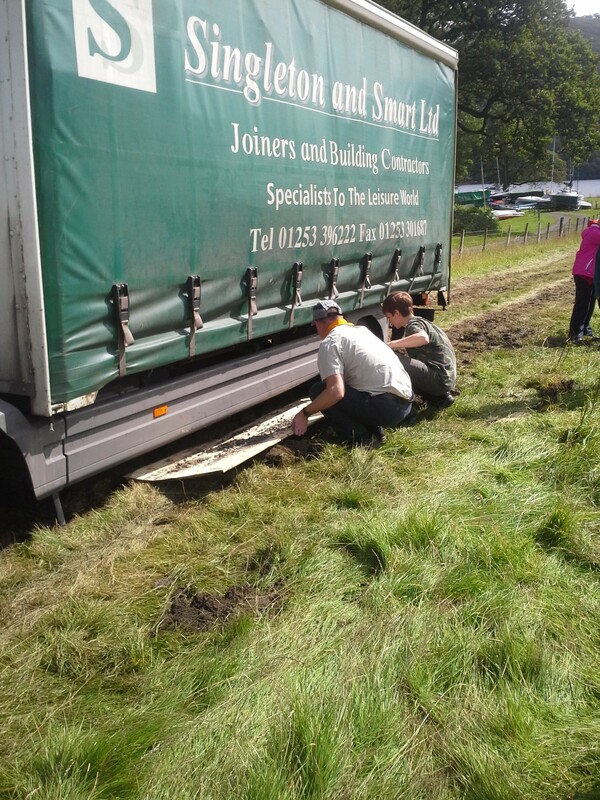 Just as a note to all our lovely friends and family coming to meet us tomorrow the A6/M55 slip road is closed. You will have to go up the A6 to meet us. Thanks to all those parents who came up to meet us, despite the weather! For all those who couldn’t here are a few pictures to show what you have missed. A bit of undercover archery. 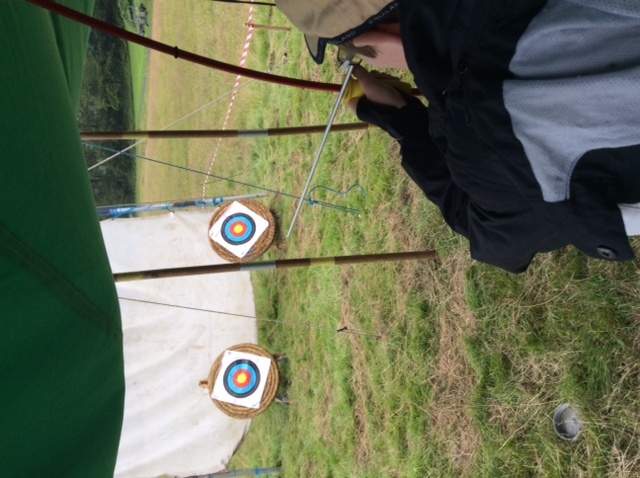 Despite the weather, all the scouts have been absolutely fantastic! They have all constantly had smiles on their face. Obviously all this hard work playing deserves a treat! Even the leaders can have fun sometimes! Unfortunately, it was still raining tonight so we didn’t managed our plan of a walk up Gummers How and then a camp fire. Instead we are just having a few board games with the heating on, a relaxing evening and a hot drink. 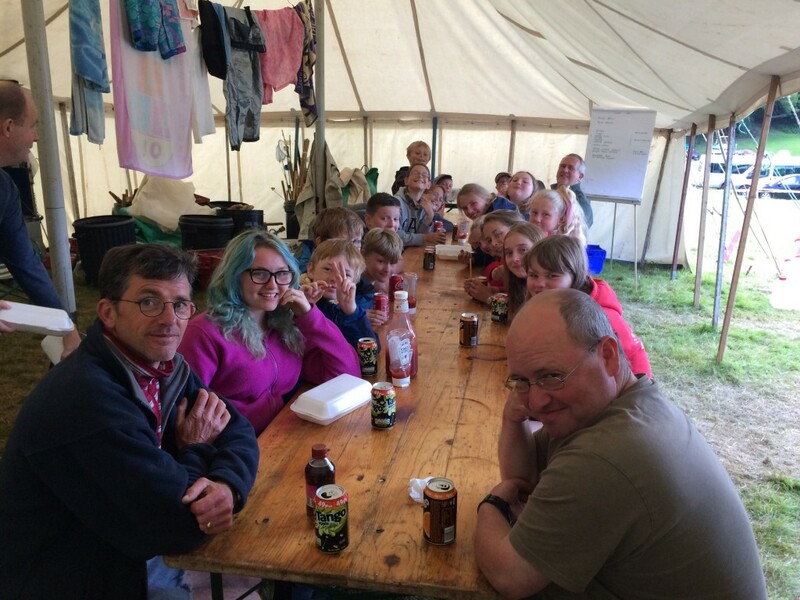 Thanks for all your comments, we read them as a group with a drink in the mess tent instead! Early night tonight due to a busy day tomorrow, we are off to Great Tower camp site for shooting and some orienteering. Will check in then! We are having a few problems with the internet, uploading pictures etc. Everyone is fine, very wet unfortunately but keeping busy! A very busy day today, first with all the activities going! 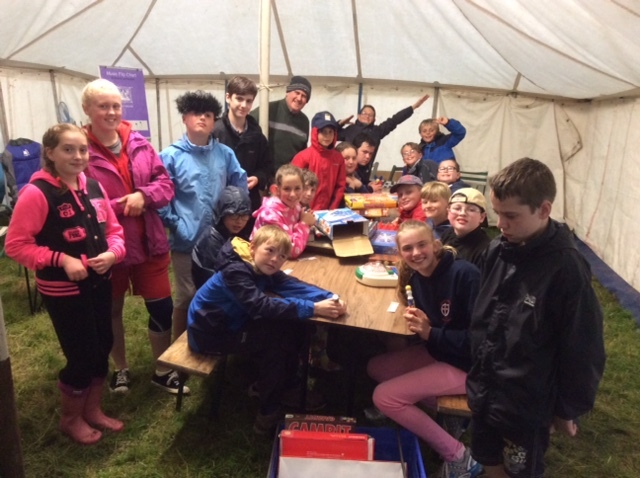 All of us were off to Great Tower Scout Activity Centre, where in rotation we have beein shooting, orienteering, borrowed the showers, geocaching, bike trail, doing some games and some archery – fun never stops! 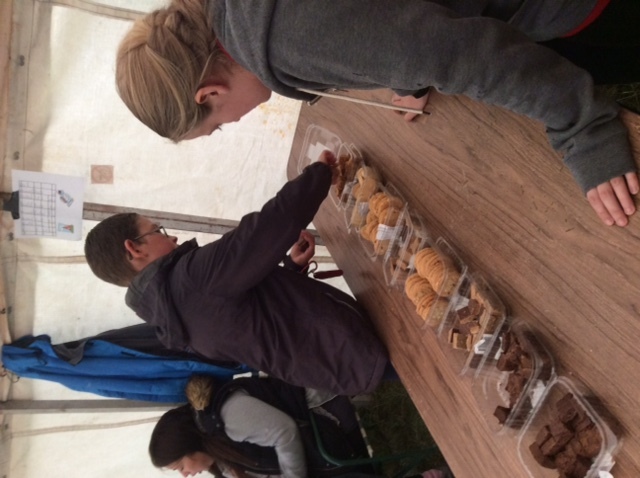 Despite some of the scouts getting very very lost orienteering, the second they heard us opening the sandwiches they were back like a shot! The Patrol Leaders went on their very own adventure today. As part of you chief scout gold badge from scouts, you have to plan and partake in an overnight expedition – completely on your own! I hope they put their tents up well as it is due to rain even more tonight! All are well, having a brilliant time and the leaders are very impressed with their maturity and get up and go positive attitude! No one has let the weather deter their enthusiasm. Everyone has eaten a lovely meal (mine was the best I’ve had all week!) and we are about to have a fire and warm up! Hopefully the comments are working again now but if you email enquiries@1stkirkhamandweshamscouts.org.uk they are working fine! Rain! 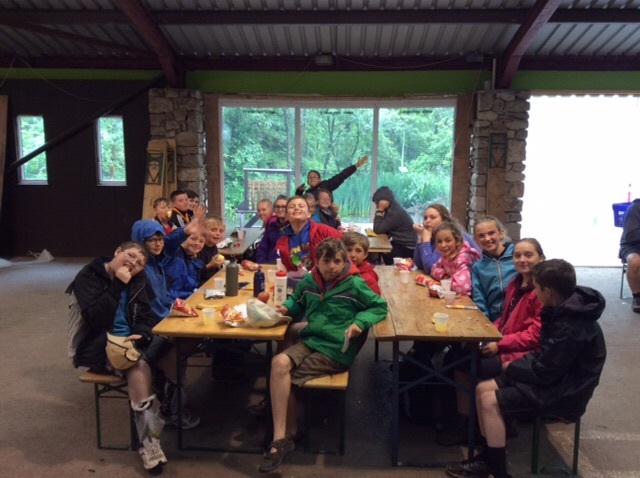 But we have soldiered on and set off with a packed lunch for patrol hikes. 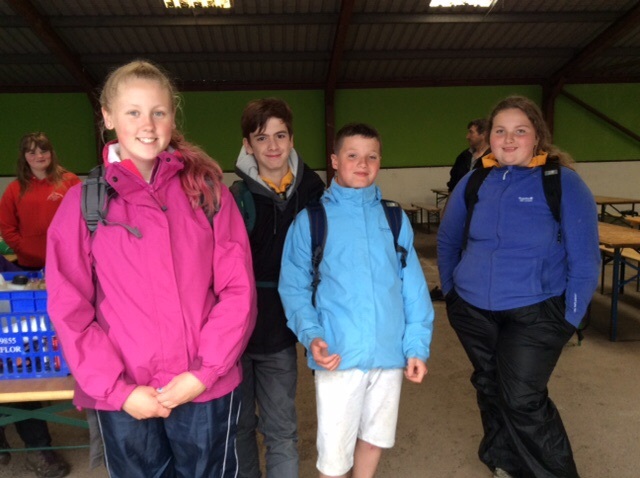 The PLs are out on their own for their expedition badge, and the other members have gone on a quick five mile walk. Back later this afternoon for making some fires and then cooking our tea on them!! APLs (assistant patrol leaders) have been promoted over the last 24 hours to PL’s (Patrol leaders) and they are doing really well! Hawk especially, winning every inspection this week. For those who don’t know we have inspection every morning, this is where all the scouts wash up and sort their areas, their tent, their personal kit, themselves and all their kitchen utensils. The leaders mark them out of ten on each areas, to make sure they are all washing, eating well and looking after their kit. When we got back, we made tea on open fires and on some rocket stoves (stoves powered by wood). 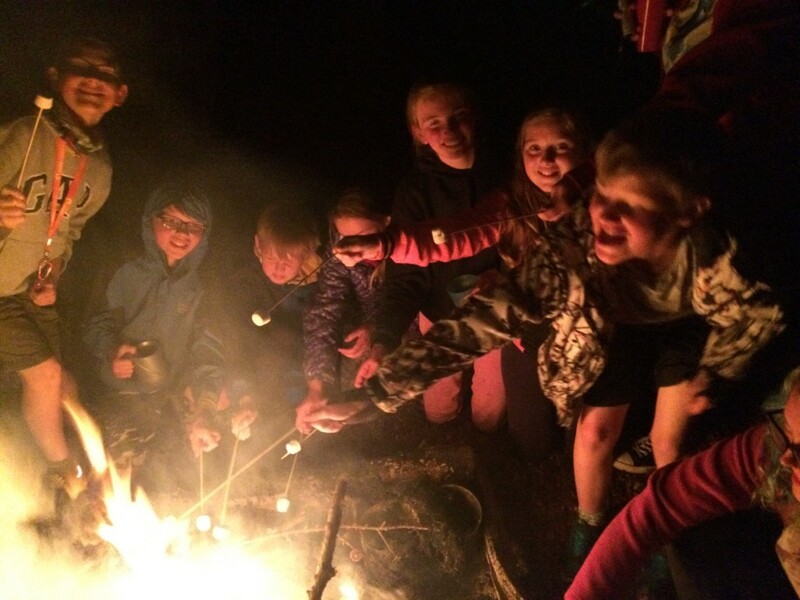 The scouts worked hard as patrols to get the fires started, and keeping it maintained. We had chicken fajitas, jacket potatoes and chocolate bananas. Best tea so far in my eyes, and it’s been so tasty all week!! Loving the messages, Connor is currently winning the kisses competition with 4 more days to go! Quietest they have been all week when they are eating!!! Don’t worry mums and dads, I took a photo before the PL’s were let loose in the wild..to give to crime watch if required! 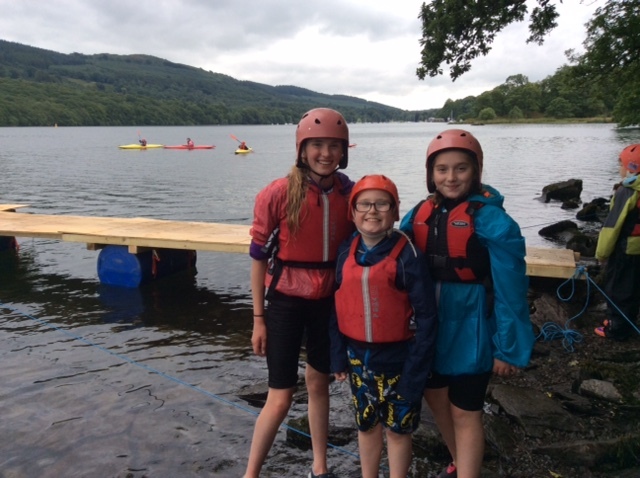 The sun has finally been shining We have all enjoyed a lovely day out on the water doing Sailing, Canoeing and Rowing and most importantly… Everyone had a wash! Thank you for all your comments, we have loved reading them out at the campfire! If the two Scouts who left us are reading this, we miss you, and we are very jealous of you being in a warm bed! We had a chilled out evening tonight, having a wide game and roasting marshmallows on the campfire. All excited now for competition day tomorrow! Today we had a lie in (til 8am!!) woo!! Sausages, beans, cereals and waffles for breakfast as per usual went down a treat. In the morning it was beautiful and sunny! The PLs ran a game for us all and everyone enjoyed some challenges and incidents. 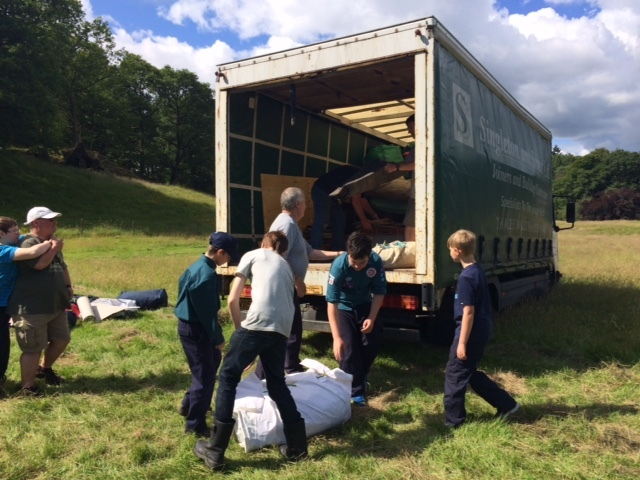 The scouts had s number of tasks to complete in their patrols, and the better they did it, the more points they got towards the competition day trophy. The evening was topped off with a chippy tea in front of the lake and some after dinner speeches, marked for points by the leaders. We had the final challenges after tea, before a longer campfire with marshmallows to toast creating some very tired scouts! Winning patrol has not been announced yet but I can tell you it’s a lovely surprise to the rest of the week! Daniel is now winning the kisses competition with over 150 kisses from his sister – that will take a bit of beating! All the scouts have pulled together and despite the temperamental weather they have been singing and dancing all day long. After putting away some kit this morning, this afternoon we spent in Bowness, having a wander and tea out. Back to site and packing some more into the wagon, before a couple of games. Such a good end to the week, I just wish it wasn’t so wet! All your children have done you so proud, thank-you to every one of them for letting us leaders have such a good camp! Make sure your washing machines have an early night, it’s going to be a busy day tomorrow! But a HUGE THANKYOU for all those parents, grandparents, brothers, sisters, aunties, uncles, little brothers and sisters who pulled together to help us unload the van back into the stores, we really appreciate your help and it certainly made the process easier for the leaders. Have a lovely, relaxing Summer, and you will get a letter through the post with the start back date and information. We will read these out every night by the campfire! Enjoy the updates! Thank you all as always for hosting a great family afternoon. I hope you all have an amazing week and the weather improves for you. Thank you for a lovely afternoon. 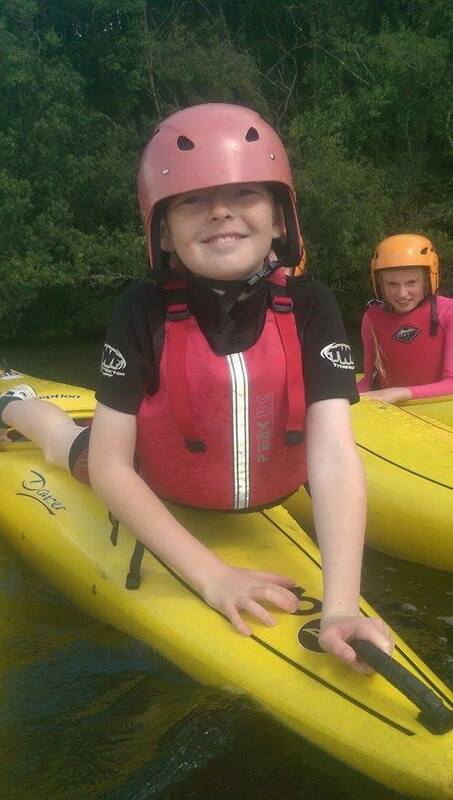 Kenyon really enjoyed all the water activities. Hope you all enjoy the rest of the week. Thanks for a good afternnon. Jacob loved getting wet and muddy. Lots of love and kisses to Connor. Thanks for an Amazing Afternoon it was great to be there. 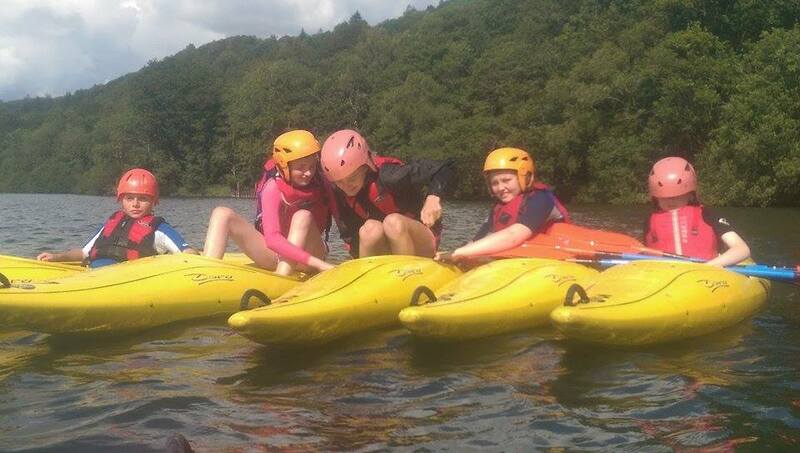 Hope you are not too wet and soggy and still having fun. Went for a hearing test today – no chattering during the day or snoring at night! 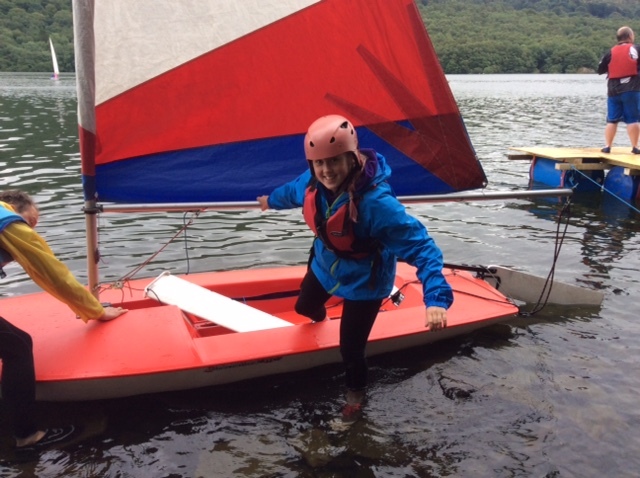 Well done to everyone at camp – if you can camp in this weather, you can camp in anything. Keep it up !!!! David feels the need to point out that he slept in a bed last night. Tell Emma, if she sells you too many sweets I will instinctively know. Sure you are being a brilliant APL. Enjoy the fun and when it all gets too wet just hold on to the thought of xbox. Missing you lots Sinead hope you are having a fantastic time. Kenyon hopes you enjoyed the cookies she made for you all. Operation Sinead’s bedroom begins tonight he he he. What will be left???? Hi, Hope you are all having a fab time. Hope the PLs make it safely to their base tonight. Wonder what they are having for tea. Tim… baby Maisy is home now. We will put you on the nappy changing rota! Enjoy the next few days. Lots of love to Tim. Hello Jasmine, we had a fab day on Sunday. Thanks to all the leaders for making camp so enjoyable. Hope you have dried out! Kira’s trainers are still wet! Daisy and Kira went to crossfit on Monday! They are aching a bit today! Hope you’re having a great time? 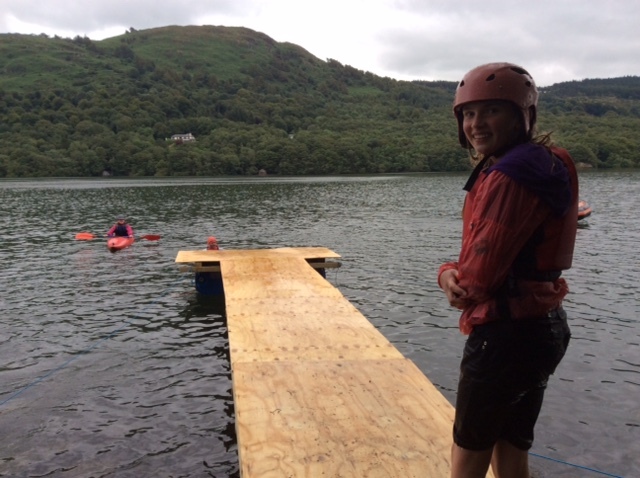 We enjoyed our visit on Sunday and seeing the camp all set up. Well done to you all for keeping entertained in the rain! ps. It’s very quiet here with no boys! Hope nobody got ‘trench foot’ and all enjoyed the walk today. Tulip sends lots of kisses to Charlotte- she has laid an egg everyday since you have been away!! 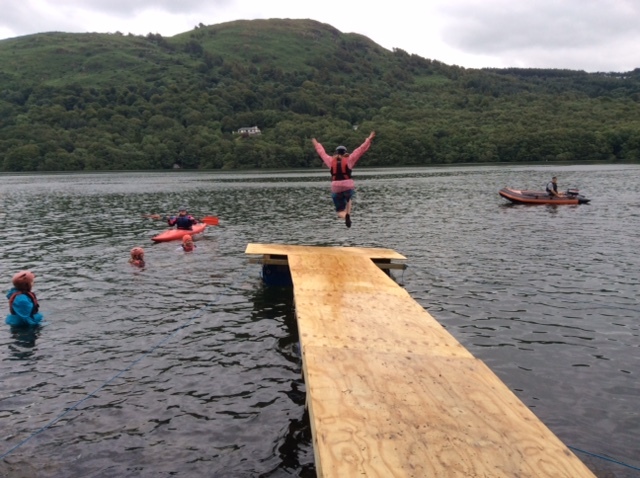 Hope your having a fab time, and the weather is being kind, heard you fell into a rock….did the rock survive ???? The house is quite with you, its lovely. Cant wait to hear all about your week, not looking forward to the mountain of washing. The sun is shining – hurrah! I’m envious of your lovely views. Photos and updates are great, thanks – it all looks fantastic fun! Its very quiet here without you. Billy and Aunty Diane have been over and say Hello. This week has gone quick! When you get back, you can build a fire to show us how it’s done! I’d better get some marshmallows in. Enjoy the rest of your camp and we’ll see you soon. 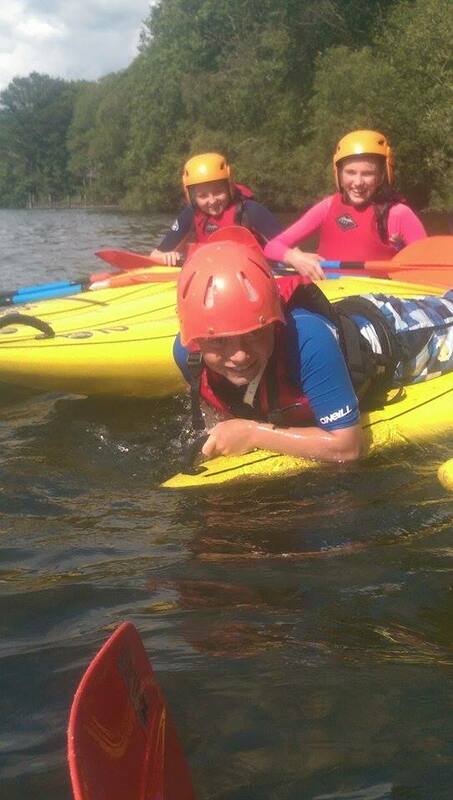 Thanks for a great afternoon on Sunday, especially the mid-lake rescue for Olivia!! Hope your having an amazing time Charlie and have hopefully managed to get some sleep! Looking forward to seeing you on Saturday, not looking forward to the smell and washing though!!! Hope you have had a lovely day in the sunshine. Enjoy your chippie tea. We are also having tea out…. Hope everyone is enjoying themselves. Special Thank you to Lucy for helping me on Monday night get warm and feel better and on Tuesday morning pack up. The suns out at last. 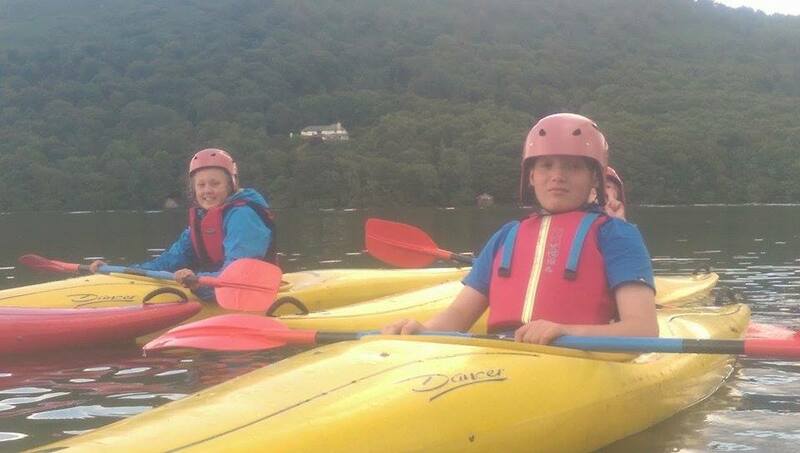 I thought the idea of canoeing was to sit in the canoe! But your style looks like fun. Hope you’ll roast marshmallows for us when we go camping? We’re looking forward to all your stories. Heather has gone to dad’s so we’ve got a week of peace! Can’t wait for u to come home so we can have lots of mummy cuddles!! Not long now Sinead until you and Kenyon are arguing again. I have painted your room. We are going for afternoon tea tomorrow we may go to lush as well. If we do we will get you some new bath bombs. Love you lots Iike jjelly tots to the moon and back more than yesterday. Hi everyone. Hope you’re all not too wet. Can’t wait to see you on Saturday Connor…but not the washing!!!! Love your Usain Bolt impression, glad the weather has improved for you although you all look like your having a good time. Hope you have enjoyed your adventure. Look forward to seeing you soon. Love from nana and grandad carr. Hope your having a good week camping despite the not so good weather. Hope your tent isn’t letting in the rain like the one your dad gave us to use when we went to Pooley Bridge!!! 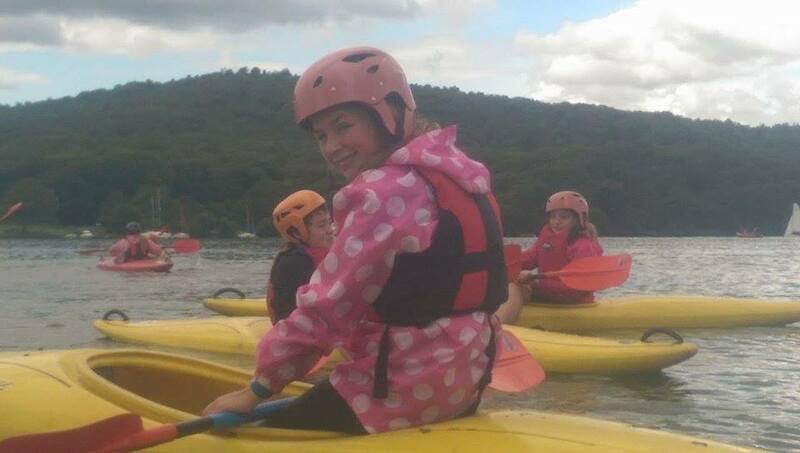 Hi, Hope you all had a great time at bowness and enjoyed yourselves. Big shout out to all the leaders and PLs for helping make Summer Camp 2015 a giant success and having a laugh!! 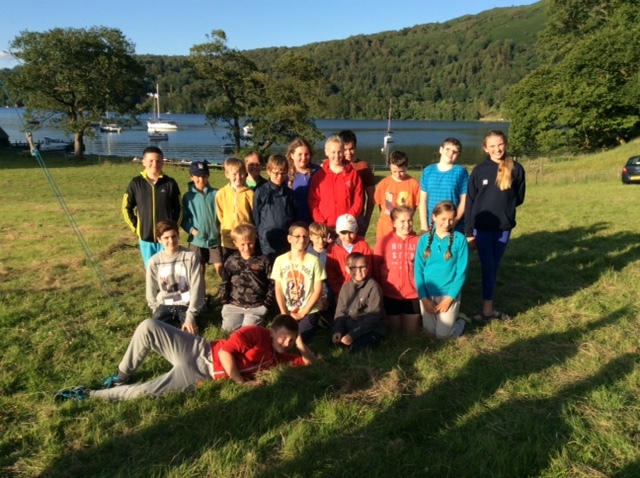 Hi, hope you’ve all had an amazing week on camp and really enjoy your last night. Sean, don’t forget to get your dad joining in with the singing around the camp fire, looking forward to seeing you tomorrow with all your smelly washing. Looks like you have had a fantastic week can’t wait to see you tomorrow the washing machine is ready!!!! Kenyon and I have been shopping today with grandma. You have lots of new things it will be like Christmas for you tomorrow. Loved my first summer camp, hard work because i was a pl. Hope to go on next years one. THANKYOU!! !